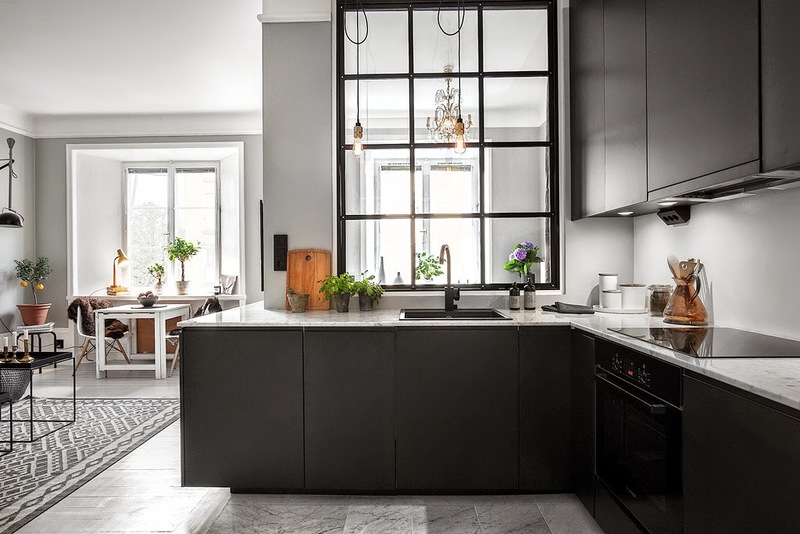 Love this place...Beautiful with the grey base and the black kitchen. 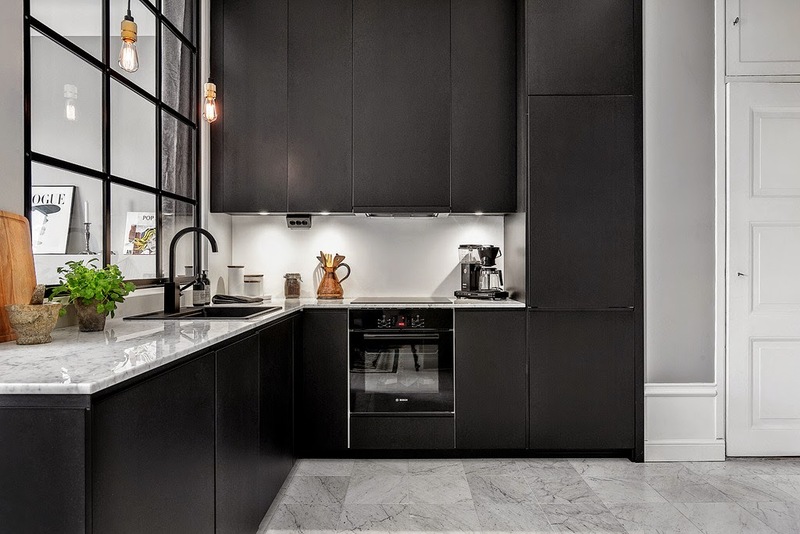 Anybody knows where the kitchen and cupboards are from? Kvänum ocr Kvik perhaps? And funny, the last photo, we have that stool as nightstand too =D. 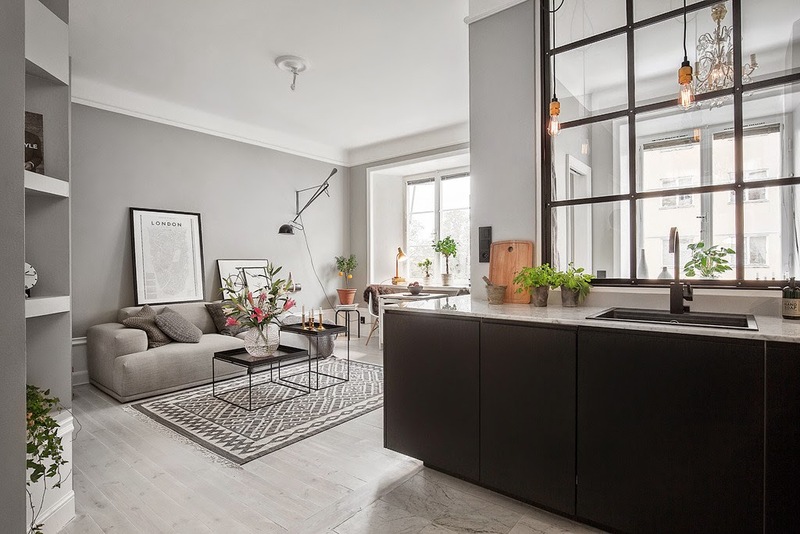 The solutions in this apartment are really smart and proves that you don't have to use "white and light" to make a space appear larger. You don't even have to go "open plan". I love the bedroom and kitchen solution. Everyone wants a bedroom with privacy, and in small apartments that can be hard to achieve. Here they have even managed to create the privacy with walls...usually it is the other way around - "knock down walls to create a feeling of space". The wall however, have that gorgeus window allowing light to flood to the kitchen. A great apartment! No wonder it has been circulating the blogosphere. I really loves this space! It is indeed small but so pretty and they were very smart about it. Love the window dividers! Gorgeous apartment. Colors, layout, everything is stylish and smart. 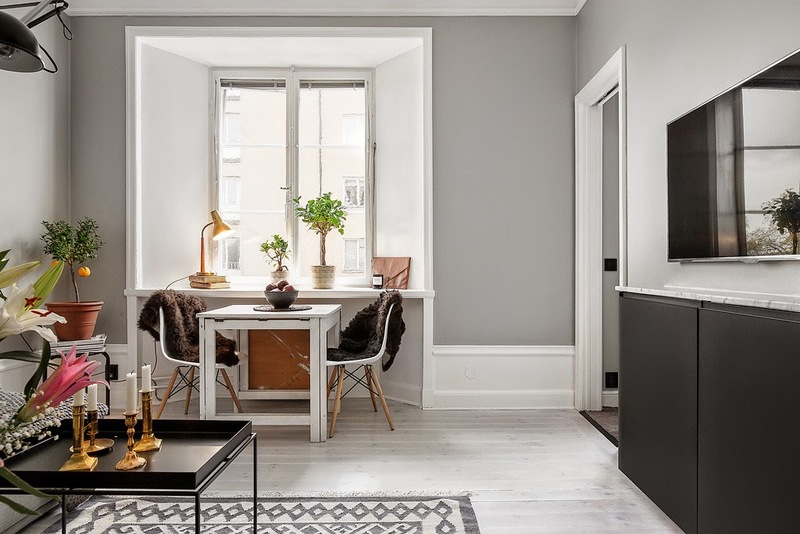 I love how just by going from white to grey, all the colored elements in the home become that much more saturated and rich. I love it too. Whoever designed the layout sure has talent. I would still paint the walls white though but that is just me. I love the framed map of London (but I'd like NY instead)! I've been looking for it and can't find it. Can you help me locate it? Many thanks. Such a lovely space! 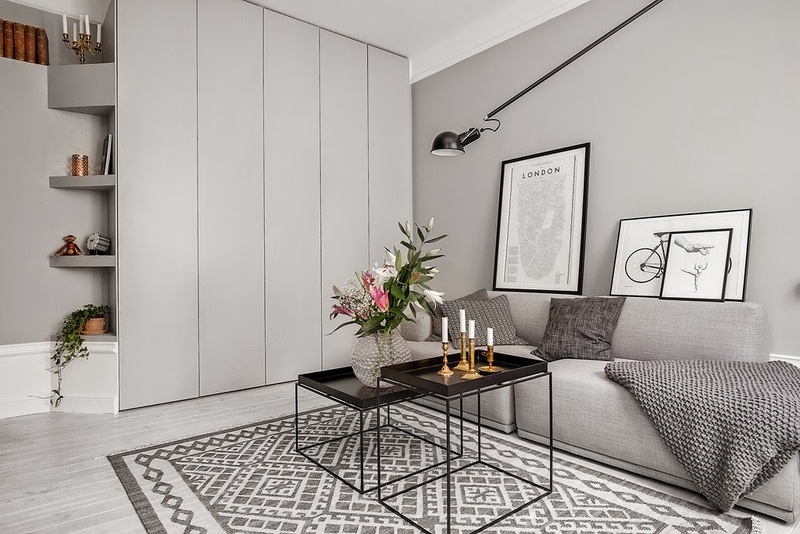 I love grey in different shades, thought long about painting some walls in my home also gray, but couldn't let go the bright and light white walls yet... :) But seeing an interior like this can easily change my mind. Would you mind telling who is the maker of the sofa? Thank you! 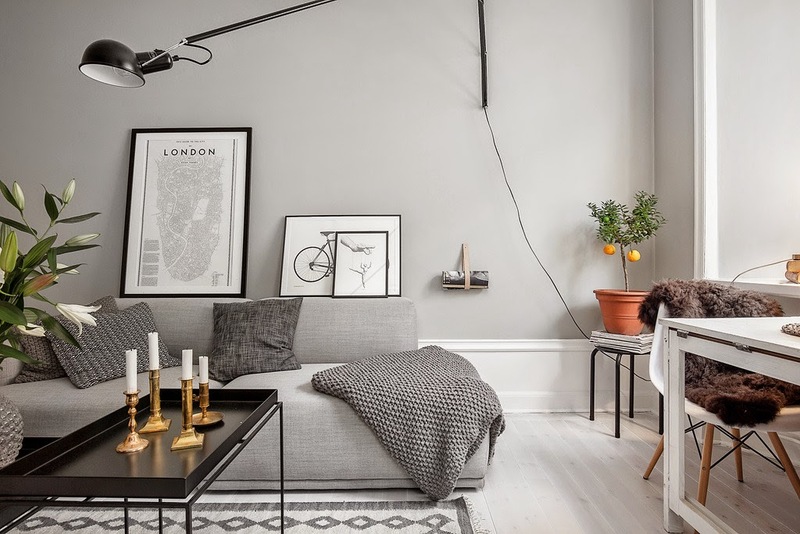 I absolutely adore grey and this small apartment is just gorgeous! 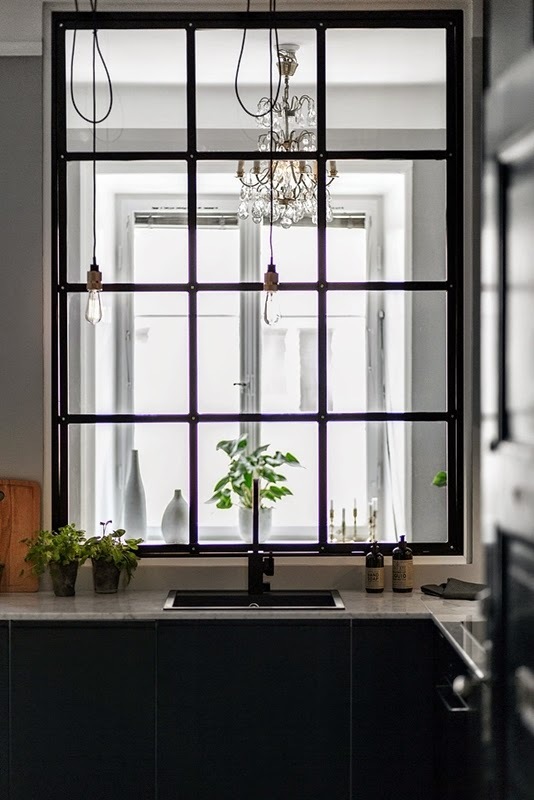 That kitchen is beautiful with the black cupboards and that window frames it perfectly. And I love the chandelier that you can see through the window. So many ideas going through my head right now... Thanks again! I love what they've done with this space! After living in Hong Kong I realized quickly how precious space can be. I really enjoy how they've found a way to allow so much natural light into the kitchen with the windows. Lovely! Espectacular!!! Amazing, I love this place!!! 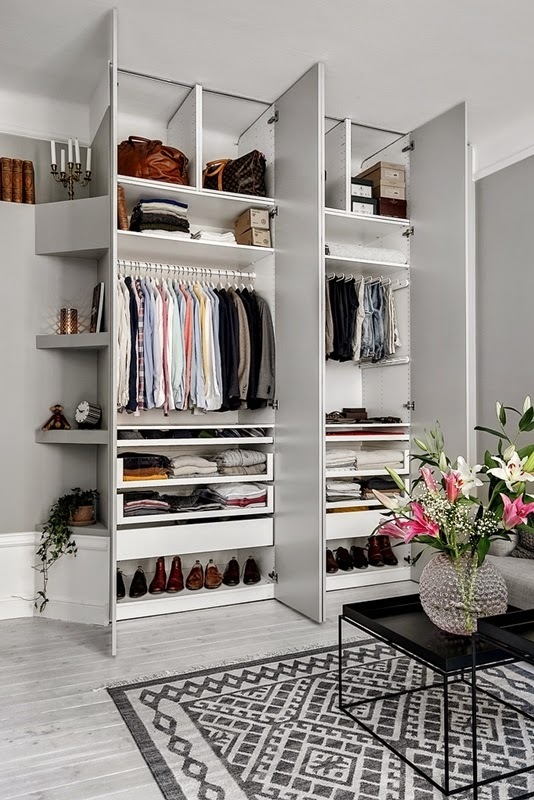 Is the closet Ikea? Do you know who the designer is? I love this grey! 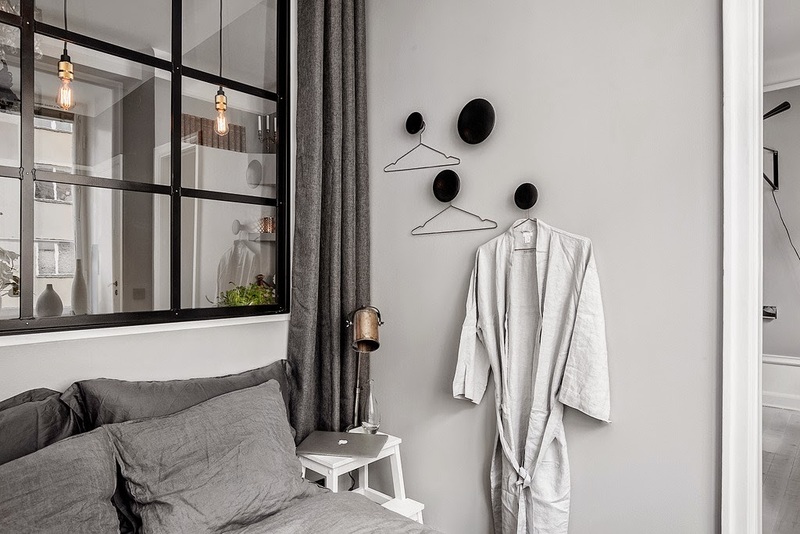 What is the wall colour called please?